IT Managed Services & Consulting |Chapel Hill|Durham|Raleigh Cyber Security Is Most Important In Identifying Threats | Progressive Computer Systems, Inc. 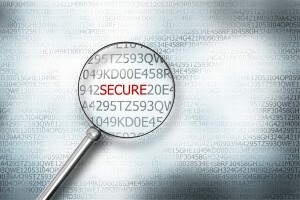 Many people become discouraged with the long-term cybersecurity. They think it is high-tech processes and developed computer skills. Not at all. Cyber security is the most important in identifying threats and taking measures as simple as creating a password indecipherable. There’s nothing too technical about it. In fact, cyber security measures are very easy to follow. Check out these tips for cyber security. 1.) Use strong passwords. Avoid using names, birthdays, addresses and other personal information as your password. Do not use a word in the dictionary, well, since hackers have found a way to crack dictionary passwords generated using certain tools. Overall, a good password is at least eight characters long and should be hard to beat. You can combine uppercase and lowercase letters, numbers and symbols. A good practice is to form a password of a sentence. For example, you can create $ t1! C4gtMpSd ‘This is what I can not remember my password. ” You can use other methods you can uniquely and cryptic passwords. 2.) Change your password periodically. This is especially important if, at some point, you have to disclose your password. Remember not to put it in writing, or should, immediately discard the paper. You never know neglect may impose danger to their safety. 3.) Be careful with emails. Unsolicited emails are sometimes the emergence of cyber attacks. Remember not to open attachments from unknown senders because they may contain malware that can open backdoors for hackers. By clicking on the links can also lead to some Web sites to compromise, so be careful. If a link looks suspicious, look at the website and make a quick investigation. Avoid giving information to unknown senders. The general rule is to ignore seemingly malicious messages. Do not reply to and forward. 4. ) Install security programs on your computer and keep them updated “c programming language”. It is very important to have anti-virus and anti-spyware and keep your firewall. Mal insurance schemes are an open door for attackers and intruders, but these spyware programs and prevent viruses from entering your system and paralyzing. The firewall on the other hand, guards your system against unauthorized access to your computer. Some operating systems allow automatic security updates. Check if yours has this option. 5. ) Do not open files sent through Instant Messenger. These files are not subject to analysis and could lead to security threats to your computer. 6.) Ignore links pop-ups. Block pop-ups and windows to close an entry for malware and other forms of attack. 7.) Avoid downloading files, programs, applications or tools of unknown web sites. More often, these fabrics are loaded with free downloadable threats. Before downloading, ensure that the site is a credible source. 8.) Make sure you keep your system clean. Remove any tool, application or program that is not used. Also check the default installed software on your operating system. It is better to have few programs that have many, but not used, which can only slow down your computer and be an opening for malicious attacks. A poorly secured computer is at risk of being kidnapped and left like a zombie machine. Secretly, the hacker used the computer to gain access to personal accounts and confidential information. The next thing you know, the credit card has been used for unauthorized purchases, your savings account has been looted, his competitor has spied on his company, and the list could go on and on.